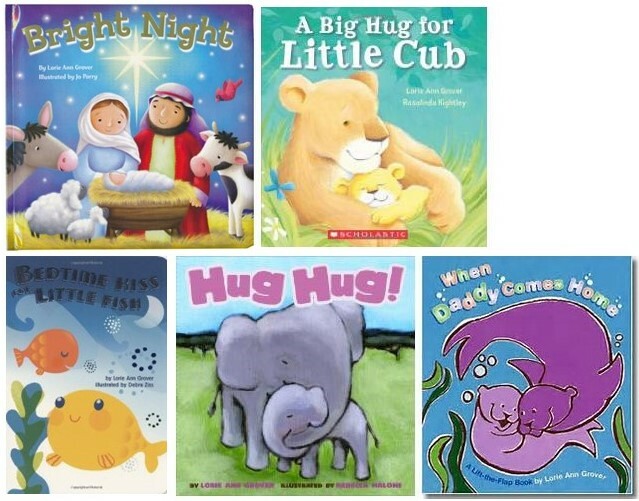 Don't you love a passion for a subject, combined with spot on text, and perfectly appropriate cheerful illustration? 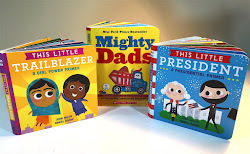 This describes the Chronicle dinosaur series by Megan E. Bryant, illustrated by Luciana Navarro Powell. The works include: Countasaurus, Shapeasaurus, Colorasaurus, and Alphasaurus. 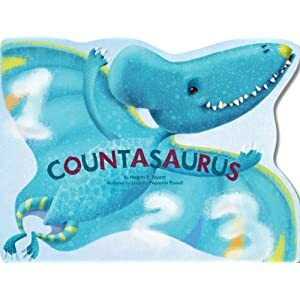 I have to say my favorite is Countasaurus. There's a simplicity as the reader counts to ten, ending in the surprise of 50 Tyrannosaurus Rex's teeth. 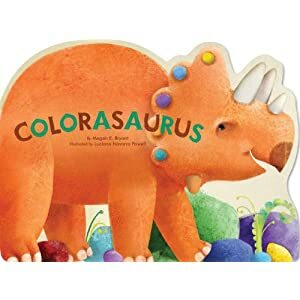 Colorasaurus is evocative with open wide spreads to showcase color: "The cool, blue water ripples as Triceratops takes a drink." Shapeasaurus is sophisticated with its introduction of crescents, cones, and diamonds. 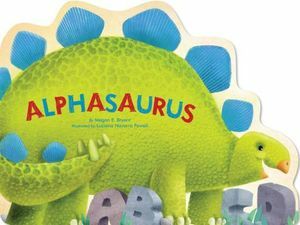 The most complicated is, of course, Alphasaurus with each letter presenting a dinosaur in the midst of a sentence full of alliteration. This particular text will keep your totz' attention to an older age. Powell's illustrations are a delight. She manages to portray the dinosaurs with cheerful smiles. There's no room for fear in the collection. Joan and I let out a dinosaur roar for this grouping! I'll have to find these and take a look. They seem really cool, and I hadn't seen them.